Order a research paper on data published in The Source book of Criminal Justice Statistics. Order a research paper on Weapons and Violence in Schools and you may find surprising statistics. A recent study by Paper Masters research found conflicting data with public perception. That is the wonderful part of using Paper Masters for research paper writing - We can dig through the rhetoric and find you the truth about research topics while our expert writers write you a custom project on the truth about weapons in schools. In 1998, schools were safer relative places to be than homes, workplaces, or the street. The perception that violence, especially lethal violence such as mass shootings, is widespread or presents a realistic threat to students in most schools does not agree with data on school violence. Schools remain one of the safest places for children to be, and extreme measures are not called for in order to counter school violence. Two reports by the Justice Policy Institute, one from 1998 and one from 1999 (released in 2000), suggest that school violence has been greatly exaggerated in the context of the overall violence that children are subjected to elsewhere in their lives through bullying, and the authors suggest that ill-conceived legislation and school policies based on reactions rather than on research are detrimental to children. Their papers serve as an introduction to research on the causes of school violence, and reiterate the necessity for rationally evaluating programs and implementing proven methods to reduce school violence. A research paper on school violence may also investigate the impacts of certain popular policies for addressing the problem of weapons and violence in schools. One of the most widespread of these policies is “zero tolerance,” which usually involves the unquestioned expulsion of any student deemed to be in violation of rules prohibiting weapons on school premises. Research by educators from Indiana University and the University of Nebraska-Lincoln shows that the model was adopted from absolute sanctions against drug abuse in the armed forces. 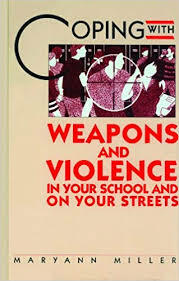 Yet various studies have shown that zero tolerance policies intended to bar serious weapons from schools have led to expulsions of students for bearing slingshots, toy guns, and objects that simply seem weapon-like. Harvard University’s Civil Rights Project co-published a report demonstrating that, thanks largely to the overreach of zero tolerance, in 1997 alone a shocking 3.1 million students were suspended. Worse still, other research shows that “tough” and hard-line responses such as zero tolerance, “scared straight” treatments, and boot camps do little to make schools safer. As such, concerned organizations like the University of Virginia’s Curry School of Education advocate more flexible responses to school violence that replace the emphasis on punishment and “scaring” students away from violence with more balanced, tailored, problem-solving strategies. Instead of relying inflexible blanket policies, these approaches work pro actively to prevent school violence. They assess the actual threat posed by specific weapons violations and prosecute them proportionally. Columbine Shootings research papers look at why Harris and Klebold were driven to bring weapons to school and shoot other students at Columbine High School in Colorado. Adolescent Substance Abuse - For today's young people, drug abuse among youths is a growing problem. Drug Abuse Among Youths research papers illustrate the problems of addiction in young people in America. Paper Masters writes custom research papers on Weapons in Schools and on data published in The Source book of Criminal Justice Statistics.